Australians are known for being lovers of the great outdoors. We grew up with grassy backyards, barbeques and hills hoists. Urban life may have evolved and become more sophisticated, but Aussies are still enjoy being outdoors whenever possible, and turning their backyards into wonderful living areas – every bit as beautiful and comfortable as their interior space. The Australian climate is ideal for entertaining outdoors. Depending on where in Australia you live will absolutely shape your outdoor living experience. With hot dry summers in the south and mild winters in the north, a great portion of the year can be enjoyed outdoors. Re-shaping our backyard lifestyle can brighten up our lives, bring nature to us and make our homes feels much more spacious. The Australian love affair with outdoor rooms and outdoor entertaining is only getting stronger. According to the annual Adbri Masonry Great Australian Backyard survey, 63% of Australian homeowners are planning new projects and improvements for their backyard, which is a 41% increase since last year. The front yard and driveway is very important when designing your outdoor space, first impressions count and sometimes the driveway can be overlooked. 62% of participants enjoy gardening in their outdoor spaces, but also opt for low maintenance options. 36% of people valued sustainability as a driving force behind their outdoor landscaping. Outdoor kitchens and dining settings are essential for balmy summer nights at home. The outdoor kitchen is expanding from just a BBQ, and why not include all the bells and whistles? 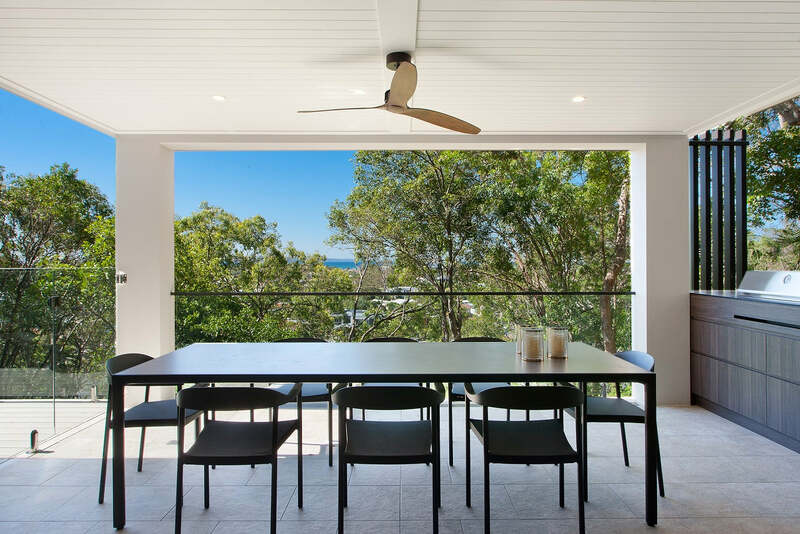 Encourage your family to relax outdoors even longer with luxuries such as a sink and benchtop for preparing food whilst entertaining, bar stools, bar fridge, pizza oven, rotisserie, heater and outdoor rug. Take your quality time outdoors, feel the warm breeze on your skin and the sounds of nature, its food for the soul. For something abit more casual, a few lounge chairs or outdoor bean bags, a coffee table and some warm throw rugs might do the trick. Perfect for an outdoor movie night or lounging around watching the cricket. Mood lighting is an in-expensive way to enhance your garden and draw guests attention outside – either on the deck or lawn, suddenly your outdoor space is inviting and memorable. Some Australians prefer to put time and effort into their backyard purely for their own peace and solace – a getaway from the busy world in which we live. A place to sip on a nice cuppa coffee, relax and reconnect with nature. You can create harmony outdoors using lighting, sculpture, pots/plants, comfy cushions and more. Good privacy from the neighbours is a must no matter what your lifestyle. In saying this, Australians are becoming more and more creative in the garden – with the right use of plants, hedges and tree’s it’s easy to forget you’re in the city. No matter what kind of space you are working towards, Cosh Living have a wide range of furniture and accessories for both modern and traditional settings. Quality outdoor furniture might be the finishing touch in your backyard design, but also one of the most important. Take the time to carefully plan out what furniture items suit your lifestyle best; dining or lounging, formal or informal, low maintenance materials or plush outdoor cushions. By furnishing your space properly, you are guaranteed to enhance the value of your home, the time you spend outdoors, and your comfort and enjoyment levels – indoors and out.